The good or bad health that we experience as adults is set in motion in childhood. Real health is not just about genes. The progression of wellness or illness is due to extremely powerful environmental influences that start in the formative years, and should not be left to chance. Kids tend to absorb or “sponge up” just about anything that comes their way— whether chemical, physical or psychological. So though “garbage in, garbage out,” is the definitive model for children, one important exception exists— some garbage may be left behind and do harm to kids in later years. Therefore, it pays to keep garbage out of kid’s lives as much as possible. As parents, we can do this best with three basic steps: first, by using gentle psychology when training them; second, by feeding them and teaching them to feed themselves as perfectly as possible; and third, by keeping toxins and poisons out of children’s lives as much as possible. Feeding kids improperly has the most severe consequences, not only in terms of children’s current health challenges, but also in terms of physical and mental inequities, which can retard, inhibit or sabotage the most desirable growth and maturation processes. Improper feeding thus provides an invitation for over 223 diet-related diseases to develop early on in life. For the first time in U.S. history, statistics demonstrate a dramatically diminished quality of life and health in children. We are fostering a new generation of sickly, stressed-out, drug-dependent, shorter-living, overweight underachievers, simply by being careless about simple things in life, such as eating right, exercising regularly and avoiding all drugs of any kind (unless absolutely necessary). Setting a bad example by passing on poor dietary and exercise habits to children. 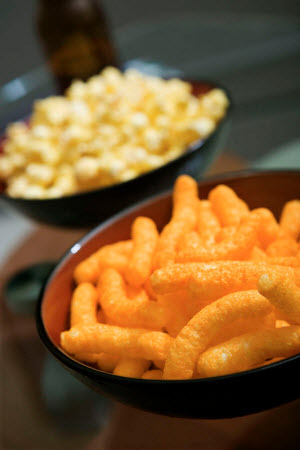 Using junk foods as a reward system to motivate children to behave better. Not requiring children to eat healthy foods as a precedent for receiving allowances or other special privileges. Overtly criticizing children for being overweight or academic underachievers, by using words such as “fat,” “obese,” “stupid” or “dumb” to describe children. Poor nutrition starts in the womb from Mom’s poor eating habits before and during pregnancy. Eating poorly as children accelerates disease development, overweight problems, fatigue, shortened life expectancy and increased mental dysfunction later in life. Kids need more nutrients than adults do, because of the more metabolically active phases of growth that children experience into early adulthood. Nutrient deficiencies and/or excesses along with toxic accumulations critically damage children earlier more than later on in life. Over time, early lifestyle mistakes such as poor nutrition and drug overuse will cause the unwanted handicaps and limitations of premature aging, turning kids into “career” medical patients. Kids suffer more from toxic poisons like mercury and DDT than adults do. When nourished properly, children recover much faster than adults. Children choose foods outside of the home based on what their friends choose, in order to fit in and feel accepted. When measured nutritionally, the children of today are found to have more disorders than ever before, including those who take vitamins and follow superior diets. Most genetic disorders can be traced to nutritional disorders. So by teaching poor nutritional habits, we are weakening our kids as well as future generations. There is an area of science called orthomolecular medicine created to fix children’s problems directly. Orthomolecular science has reinvented the future wellness of children, such as with nutrition-testing medical labs that have statistically connected nearly everything that can go wrong with the human body to specific nutritional imbalances and holding toxins. However, this is light years beyond conventional medical diagnostic technology. The more attention we as parents can give these issues during children’s formative years— the time when people are most vulnerable— the less health challenges our children will face now and throughout their lives.